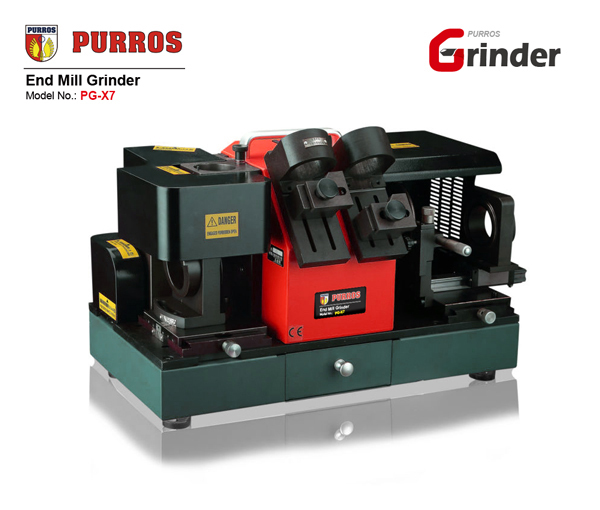 PURROS PG-X7 Portable End Mill Grinder, Grinding Ranges Dia. 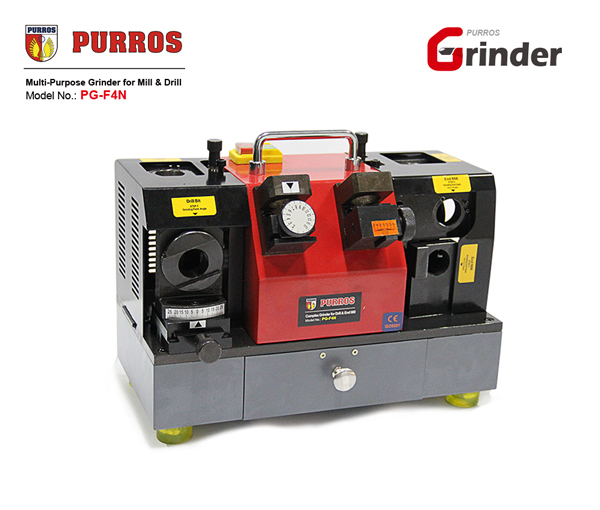 : M12-M30, Grinding Point Angle: 0°-5°, Power: AC220V/250W - Purros Machinery Co.,Ltd. 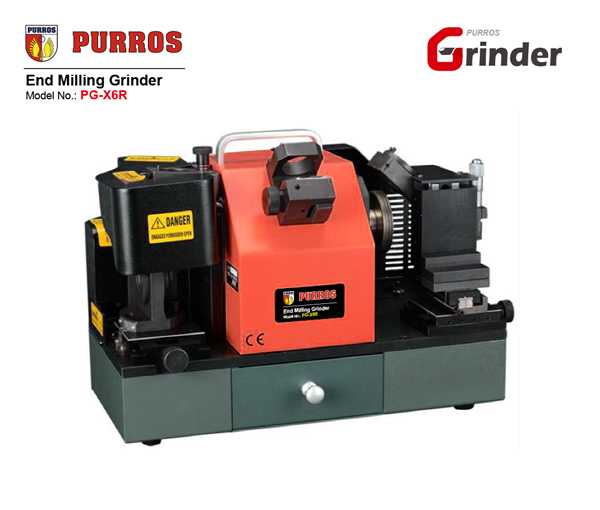 PURROS PG-X7 Portable end mill sharpener with ER40 collets(12-30mm) PG-X7 can be applied for grinding both side and face of mill. Each model bears specific machining capacity and among them PG-X7 can be applied for grinding both side and face of mill. 2. Fewer requirements for manual support. 4. Perfect choice of grinding tool to manage milling over critical angles. 6. Suitable for higher productivity requisites. 8. Provides maximum machining rates. 9. Fast and high speed in performance. 10. Designed for grinding 2,3 and 4 flute end mills. 11.Also suitable for grinding carbide and steel. 2. 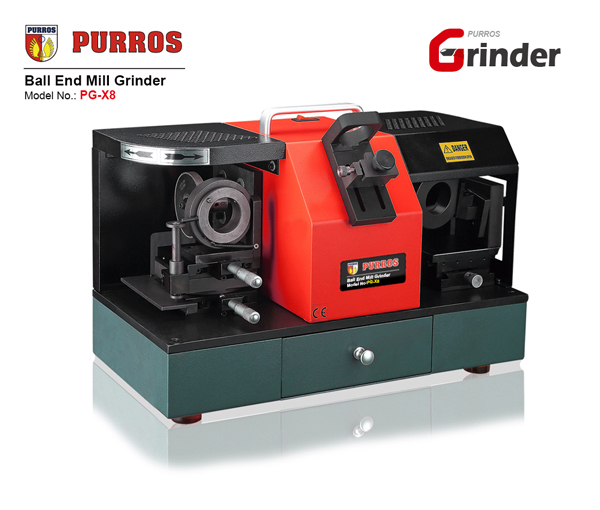 Grinding is accurate and rapid, easy operation, without skill requirement to grind easily. 3. 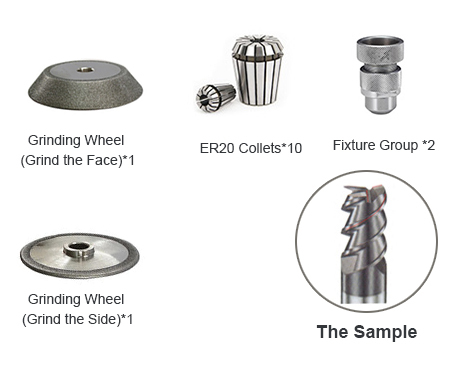 With diamond grinding wheel, only one piece can complete all procedures. It can be equipped directly with an accurate angle and long service life. A way to extend the life of your drill bits. The instructions could be better, but you’ll catch on. I saved enough with the sharpening of a drawer full of drills that had had it (I thought) to pay for it. I’ve never been good at sharpening drill bits – often made them worse than they were to begin with. They won’t be like new, but vastly improved.